Why Do You Write a Cover Letter? Most jobseekers seem to be in a hurry. They think creating a resume is enough to win an interview with a specific employer. If you are a jobseeker too, you should be fully informed that there are many hiring managers who base their decisions to grant an interview by reading an applicant’s cover letter – cover letter writing has become essential part of the job application process. Not including a cover letter with your resume can be the biggest mistake you’ll make while applying for an advertised job opening. If written appropriately, a cover letter has the potential to set you apart from other job applicants and increase your chances of landing the job quickly. Before you sit to write a cover letter, you need to understand why you should actually write it. When you know the purpose of writing, you will be able to craft a targeted cover letter. Writing a cover offers you an excellent opportunity to introduce yourself to the employer. Therefore, use the cover letter to inform the employer about who you are and what you want out of the company’s advertised job opening. Try to craft the introduction in a way that stands out from other applicants. 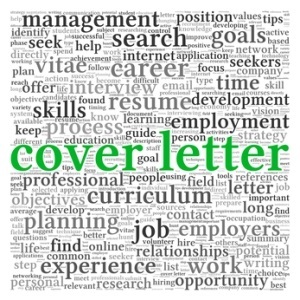 In many cases, the cover letter is the first piece of documents that the employer touches. If you are able to introduce yourself effectively, you’ll compel the employer to have a look at your resume quickly. The second important purpose of a cover letter is that it tells the employer whether you are really capable of doing a specific job. While writing the cover letter, you can focus on talking about those skills and experiences that directly relate to the advertised job position. You should craft the cover letter in a way that convinces the employer that they can’t find anyone better than you. Before an employer or a hiring manager makes a hiring decision, they will make sure that the job applicant is really interested in doing the advertised job. While writing the cover letter, you need to show your interest and enthusiasm for the applied job. Many times, hiring managers will reject job applicants, even when they have the required academic qualification, only due to a lack of interest in the job. So, show them your interest. Apart from everything else, the biggest challenge for a job applicant is to fit themselves in at a specific company. This is something that the employer must be made certain of. They want to be sure that your own personal values (and goals) are in tune with the organization’s values. There are many more benefits of writing a cover letter and including it with your job resume. In a fiercely competitive job market, a cover letter is a powerful tool with which you can quickly beat out the competition. While writing the cover letter, always make sure you structure the information appropriately, express your ideas clearly, format it properly, and avoid any kind of spelling or grammatical mistakes at all cost. Have you ever written a cover letter? If you have some more cover letter writing tips, please share them below. This entry was posted in Resume and tagged cover letter on August 12, 2013 by Alex Strike.